High quality, fully integrated background and drug screening tools and solutions to colleges and universities nationwide. Everything you need within one simple platform solution. We take it one step further for health programs and verify you are following all clinical site requirements. The Joint Commission requires students to complete background screening if required by the hospital, facility or state law.  CoreScreening will review your current program to ensure you remain in compliance. Simple, fast, accurate and comprehensive. We take pride in maintaining the highest quality results in the industry. Absolutely no set-up fees or cost are inquired by your school/program. Students & Extended Workforce initiate and pay for their background check and/or drug screen online within our seamless interface without the ability to modify your selected services. Schools receive real-time updates on the progress of the background checks online and may also elect to have email notifications activated when a result has been posted. Pass/Fail – Customizable “override the red light” options based on your school’s unique policies. Collection Site Lookup – Embedded within the order process for easy access to drug testing collection site locations. Intuitive, Online & Mobile Applications – Maintain compliance via dashboards, comprehensive reporting and automated notifications. Simple Transition -We’ll get you started in 3 days or less! Scholarship Opportunity – Exclusive scholarship opportunity for student(s) in need.